Mr. Olujimi Olusola III has been engaged in a variety of projects to address issues of Peace Building, Conflict resolution and the participation of Civil society in Policy making and implementation. An accomplished Broadcaster, Journalist, Media practioner and Arts Administrator, he has trained in International Diplomacy, Conflict impact assessment and Project Management. 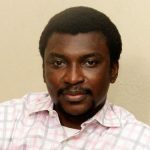 A graduate of Public Communication, he has worked as a Network news correspondent with the Nigerian Television Authority, Senior Client Benefits Adviser with the British civil service and consultant on matters on information and Crisis Management, Deliberative Democracy and Community Development. Olujimi Olusola Is an International Fellow of the prestigious Kettering Foundation, Ohio and presently the Chief Executive Officer of the African Refugees Foundation. He’s authored several publications including the issue book “Alleviating Tensions Associated with Indigene/Settler Dichotomy in Nigeria. He is currently the chairman, Board of Trustees of the Foundation. 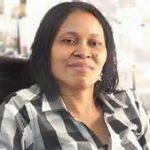 Dr. Joe Okei-Odumakin began her career in activism as the Secretary of Women in Nigeria (WIN) Kwara State from 1981-1991 and the Coordinator of Women in Nigeria (WIN) Kwara State Branch (1991-1996) Chairperson, Rethink Nigeria (1987-1982) Chairperson, Committee for the Defence of Human Rights, Kwara State Branch (1990-1996). She was the Secretary General of Campaign for Democracy a position she held from 1996 to 2006 before assuming the position of the President of the body. She is also Executive Director of the Institute of Human Rights and Democratic Studies, the President of Women Arise for Change Initiative; Chairman of the Task Force of the Citizen Forum and the Spokesperson, Coalition of Civil Society Organizations and President, Centre for Participatory Democracy. Dr. Joe has received numerous awards at the national and international levels. In March 2010, the United Nations Nigeria awarded here “Hero of Democracy and Good Governance. In October 2007 she was given an award by the Development Issues Initiatives Association for her contribution to national development and human rights, the same month she was awarded by Human Rights Now as “The Defender of the Oppressed.” She also received an award in Imo State of Nigeria in 2008 as The Defender of Women’s Rights during the commemoration of Aba Women Riot. In August 2008, she was authorized and commissioned to serve as an Ambassador of Good Will from Arkansas to the people of the nations beyond the borders of the United States. In September 2010, the Priceless Jewels Initiative gave her an award as the “Champion of Women Empowerment. She sits on the board of Festus Fajemilo Foundation. Dr. Olufemi B. Bankole is a Consultant Neurosurgeon and head of Neurosurgery at Lagos University Teaching Hospital (LUTH), Idi – Araba, Lagos. He is also a Senior Lecturer at the University of Lagos College of Medicine. He is one Neurosurgeon who has demonstrated passion beyond professional service especially for children of indigent parents. 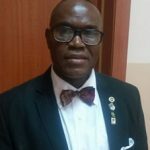 He is a board member of Festus Fajemilo Foundation and and head of medical advisory team. Wale Ogunade ESQ is a barrister at law. He studied law at Lagos State University (LASU) before proceeding to the law school where he was called to the bar. Wale is a Human Right Activist who uses his professional career to defending the downtrodding in Nigeria. 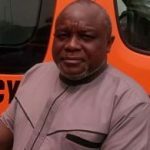 He is the principal counsel at V.A.O Ogunade & and also the president, Voters’ Awareness Initiative – a non-governmental organization that is composed of people who have diverse experience in human rights activities, community work, and humanitarian activities. His organization canvassed vigorously for One Man! One Vote! A campaign in Nigeria a slogan that has been widely adopted by many states and national which has brought a new paradigm shift in the way elections are conducted in Nigeria. He is also on the board of Festus Fajemilo Foundation. Afolabi is a graduate of Microbiology from Obafemi Awolowo University Ile-Ife, Osun State, Nigeria in 1995. He has over 10 years experience in development work. He co-founded Festus Fajemilo Foundation, a pioneer non – profit organization for persons with Spina Bifida and Hydrocephalus in Nigeria. Afolabi has participated in health research works in Nigeria with some development partners such as ACTIONAID and was a Local Technical Assistance for Partnership for Transforming Health System 2 (PATHS2) a UKAID funded programme in Nigeria for 4 years mentoring Ward Health Committees (WHCs) in 13 communities in 4 LGAs of Lagos State. He has attended capacity building training within and outside Nigeria. He became a community network chair of Hydrocephalus Association in 2013. In 2014, through his innovations and commitment to bringing issues of Spina Bifida and Hydrocephalus to the front burner in Nigeria, Afolabi got a Commonwealth Professional Fellowship Award by Commonwealth Scholarship Commission which afforded him opportunity of a 3 – month understudy of the work of SHINE UK – a national charity for people with Spina Bifida and Hydrocephalus in United Kingdom. He became a professional social worker with a Certificate Qualification in Medical & Psychiatry Social Work (CQSW) from Lagos University Teaching Hospital (LUTH), Lagos in March 2016. 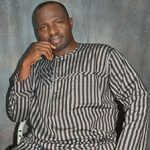 He currently oversees the day to day running of Festus Fajemilo Foundation as the Executive Director. A Jerusalem Pilgrim, Adewumi holds a Bachelor of Science Degree with Honours in Forest Resources Management in 1998 from University of Ibadan, Oyo State, Nigeria. She later had her Master’s Degree programme in the same University in Geographical Information Sciences (GIS) in 2004. Her entry into NGO work was as a result of her personal experience with her first child with hydrocephalus in 2006 and since then, she has attended various capacity building training to deepen her knowledge in development work. Adewumi has been a role model for other women who mother children with disabilities and an advocate of “Go FOLIC” for adolescent girls and women of child bearing age for primary prevention of common birth defects. As a result of her innovations and commitment to the work of Festus Fajemilo Foundation as the pioneer advocacy body for children affected by spina bifida and hydrocephalus in Nigeria, she got a Commonwealth Professional Fellowship Award in 2014 through which she was in the United Kingdom to understudy Shine UK a national charity for people with spina bifida and hydrocephalus in the United Kingdom. 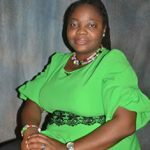 She is currently the Director of Operations of Festus Fajemilo Foundation with a Certificate Qualification in Social Work (CQSW) in view.